ATMOSPHERE 04 Spring/Summer 2007 “Feel the ATMOSPHERE’s atmosphere” will be released from Gas As Interface. Atmosphere is a creative information magazine published by Gas As Interface. The bilingual magazine introduces creative people from inside and outside of Japan selected by Atmosphere’s unique perspective to domestic and international readers. 4 issues have been published in the past, from issue 00 to 03. 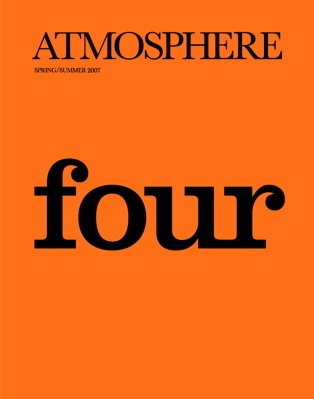 This issue’s theme is “Feel the ATMOSPHERE’s Atmosphere”. 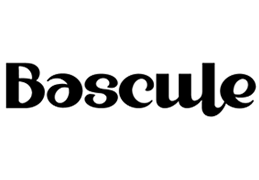 It is their hope to create an issue that will make you reaffirm how fun, fascinating and beautiful graphic design is. In this issue, you will find original art works and long interview so you can indulge in contents special to the printed medium of Atmosphere you won’t find or experience anywhere else.. This issue features art directors and designers from around the world and once again focus on the fascination of graphic design with lots of texts and visuals. 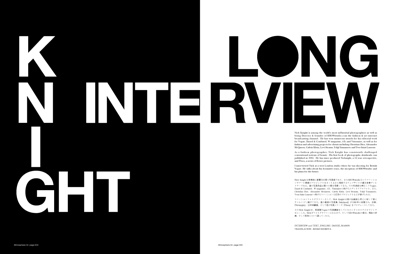 Feature #1 is long interview with Nick Knight who is the world’s most influential photographers as well as being Director & founder of SHOWstudio.com the fashion & art internet broadcasting channel. Atmosphere interviewed about his formative years, the inception of SHOWstudio and his plans for the future. Feature #2 is Atmosphere’s Recommended Artists. They will introduce the newest and talented artists/designers out there and show their interviews and original artworks created for this issue. And Feature #3 is GASBOOK NEW. For more than ten years, the Gasbook series has provided an opportunity for artists to express themselves and showcase their work. Now, in 2007, Gasbook has reached a turning point. Gasbook has shed all boundaries of form and is presenting itself as an exhibition entitled “GASBOOK NEW,” at the CALM & PUNK GALLERY, Tokyo. 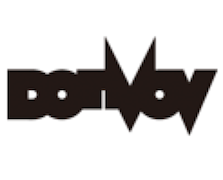 The form of Gasbook is now shaped by the minds and imaginations of the artists involved. “GASBOOK NEW (tentative)” will show work by various artists, with pieces available for purchase. This will be Gasbook as a piece of art in itself. 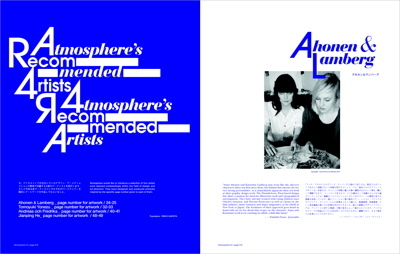 In this issue of Atmosphere, they are introducing some of the artists participating in the exhibition. Participating artists are; Trevor Jackson , Kenzo Minami, Deanne Cheuk, Hiroshi Iguchi, Reala, Dainippon Type Organization. 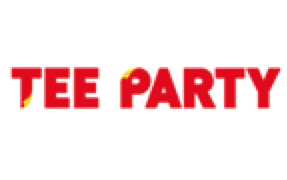 Publisher: Gas As Interface Co., Ltd. 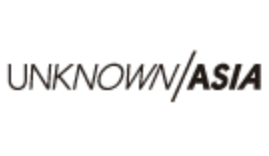 Sales Agency (in Japan): BNN inc.